Turbo Downloader Amerigo is the faster downloader of the AppStore thanks to the 'turbo' technology, that speeds up your downloads up to 300%! 2. Start a video, play an audio, select a photo or document on the website. 3. Tap on the download button that automatically appears. 4. 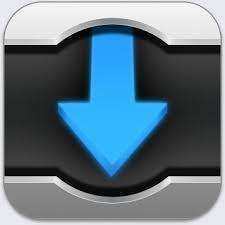 Archive downloads on your iDevice or move them to Dropbox. It is possbile to set a password to protect and hide one or more archive folders. Full integration with the cloud service "Dropbox" allows you to quickly store the downloaded files without taking up space on your device and listen or watch them in streaming! You can also add more than a Dropbox account to increase your space on the cloud! You can start multiple simultaneous downloads, pause, restart. You can create mixed playlists of audio and video files. The execution of the playlist will continue in background. You can use an ear pod remote controller to manage your playlist. - "Readability" feature for easy reading of sites. - Slide Show to move quickly from one site to another. - Integration with the Dropbox Cloud service for remote file storing. - Advanced PDF and eBook reader with miniatures, air print and bookmarks. - PDF Virtual printer to turn any webpage into a PDF file. - Support for all Microsoft Office files. - Simultaneous management of multiple Dropbox accounts and management of Dropbox folders shared with other users. - Real-time streaming of media files stored in your Dropbox account. - Enhanced bookmarks and history management. - Web URL forwarding by email. - Multimedia achive with folders and subfolders capabilities. - Preview feature for video and audio files. Direct access to the playlist. - You can save photos and videos into the camera roll. - Almost all video sharing sites are supported. - Automatic detection of video content on the web page with direct download button. - You can Watch your downloaded video without being connected to the internet. - Almost all mp3 sharing sites are supported. - It is possbile to hear the songs without being connected to the internet. - Playlist feature to sequentially play the mp3 files. - Direct download of PDF and eBook. Just downloaded this, and it's absolutely great! I have been looking for something like this for ages.